The perfect gift for any celebration, this delightful personalised vase - made with Swarovski elements - will not look out of place in any home. Designed with a gorgeous curving stem, personalise this crystal clear glass vase with a message of your choosing, suitable for any celebration. 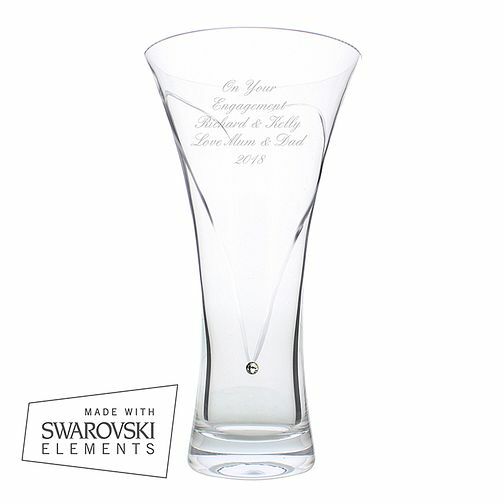 Personalised Swarovski Elements Heart Vase is rated 4.0 out of 5 by 3. Rated 5 out of 5 by Anonymous from Nice product. Bought for a 60th birthday present. Delivered safely, well packaged and really nice vase.